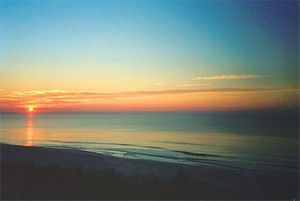 The Enclave is one of the newer condo's in Orange Beach. 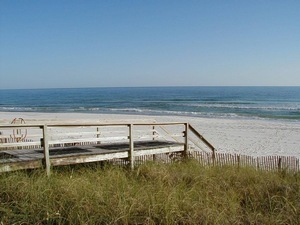 This 3 Bedroom, 3 Bath condo has a large balcony overlooking the Gulf of Mexico. The master bedroom has a king bed, ajoining bath with Jacuzzi tub and seperate shower, double vanity and walk in closet. The second bedroom has a queen bed with ajoining bath and tub with shower. The third bedroom has twin beds with bath that also opens to the hallway. This bath has a large shower. There are 4 TV's, a DVD and 3 VCR's. Mom will enjoy the well equiped kitchen. The washer and dryer are full size and there is an iron and ironing board. There is a wet bar with party ice machine. The kitchen, baths and entrance hall have ceramic tile. 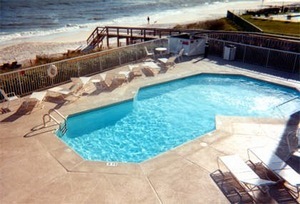 The Enclave has a Gulf front pool, indoor heated pool and a tennis court. The Enclave is located across the street from the largest shopping center in Orange Beach and is convenient to shopping, activities and dining. The enclave is a non smoking unit. Discounts apply to conforming rentals only. Free WiFi in the unit. User name and password provided. Beautiful pool on the Beach with plenty of loungers. View from balcony of boardwalk to the beach. 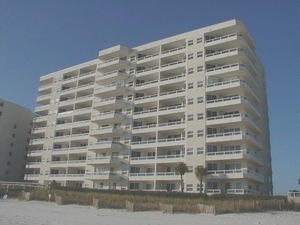 View of The Enclave from the Beach. 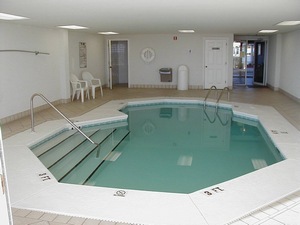 View of the indoor heated pool which is open year around. 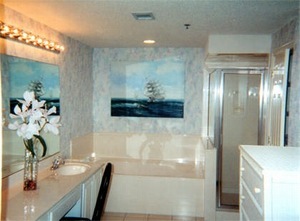 the master bath is great featuring Jacuzzi tub, seperate shower, double vanity and walk in closet. 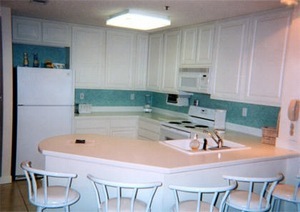 The kitchen is fully equipped with all major appliance and utensils. 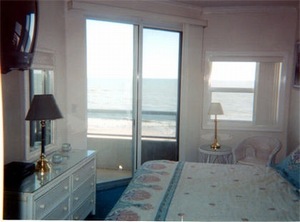 The master bedroom has a great gulf view and access to the balcony. Beautiful sunrise and sunset views from the balcony during winter season. We just completed our stay. It was very comfortable and exactly as I expected. Thanks for the opportunity to experience this condo. We had a great time. We had a 3 bedroom, 3 bath condo and it was beautiful. We were on the 2nd floor and had a great view of the ocean and the pool. We will definitly return for our next vacation. We loved the second floor, great view, lots of room. We have been coming several years now and we still love it. Mr Lynn is the greatest to work with. Great access to all of your grocery needs and other shopping. We had an amazing time in Unit 206 - everything we needed was there. The size of this condo is amazing. The beach was awesome as was both pools. Conveniences are within reach...grocery stores, restuarants, liquor stores....everything. What a relazing, stress free week we had on the beach! This was an awesome place to stay- the beach was 100 yards away from the balcony. There are grocery stores and restaurants across the street as well. Plus Raymond, the owner, is a great person to deal with. Class act all the way. Thank you for the lovely stay! We enjoyed it so much and look forward to a possible stay in the future. Thanks! We had a great view & a great time. Rent week only, Saturday to Saturday during spring break and summer. Add $100 departure cleaning charge. Add 11% Lodging Tax to total of rent and cleaning. Specials apply to conforming rentals only. Credit Card payment available with 2.5% charge, echeck available for 1% charge. Deposit: $300 deposit will apply to the rent. May be held as refundable deposit at option of owner. Cancellations and Refunds: 4 weeks for weekly rentals, 8 weeks for more than 1 week, 90 days for monthly rentals. Other Fees: Add 11% lodging tax to total of rent and cleaning. Required Stay: Saturday to Saturday; Summer.